Starting out as an actor and singer, Christie worked in small theatres in Sacramento, San Francisco & Chicago. She began producing plays with Pipedream Productions in the early nineties, including a West Coast Premiere of Neil Simon’s “Laughter on the 23rd Floor”, and a two year run of “Co-Ed Prison Sluts”, and Eddie Izzard’s “Dress to Kill”, an Emmy Award winning comedy on HBO. She has worked extensively on film and video projects as a lighting designer, camera person and editor. 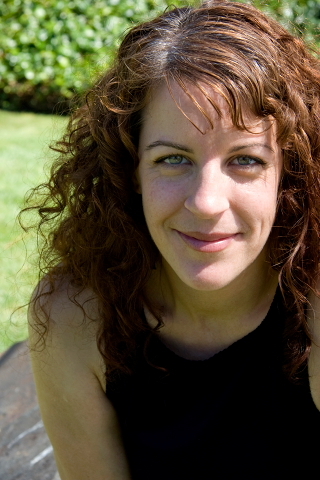 Christie joined Teevan Productions in 2003 and is a Producer and project lead. Among her many skills, she has expertise in Power Point presentations, and stage lighting as well as a flair for talent booking and entertainment management. In addition to her work with Kim & Dave, she continues to be an active Executive Committee member for Litquake, San Francisco’s Premier Literary Festival. Her forays as an individual producer have expanded into a wide variety of large scale corporate events including collaboration with event company, George P. Johnson, as the Executive Producer for the annual Salesforce Gala and Concert for over 20,000 attendees and Cisco’s Partner Summit which has taken place in New Orleans, and San Diego. She also partners with San Francisco merchants on “Party on Block 18” which is a food based community street fair on 18th Street in the Mission District. When not leading the charge on her own productions she can be found wrangling talent at the “Hardly Strictly Bluegrass Festival”, providing food and beverage consulting at “Outside Lands” and designing light tower plans at KFOG KaBoom!